Back in June we released some preliminary details, but today we have some new Dapper Day Fall 2013 information. Visit these links to previous posts to learn more about the history of Dapper Day, how to dress, even see photos . We also have a fabulous Dapper Day pinterest board to help provide you with even more inspiration! As a reminder, Dapper Day Fall Soiree at Walt Disney World will beheld on Saturday September 21, 2013. Check out our awesome video from last time! 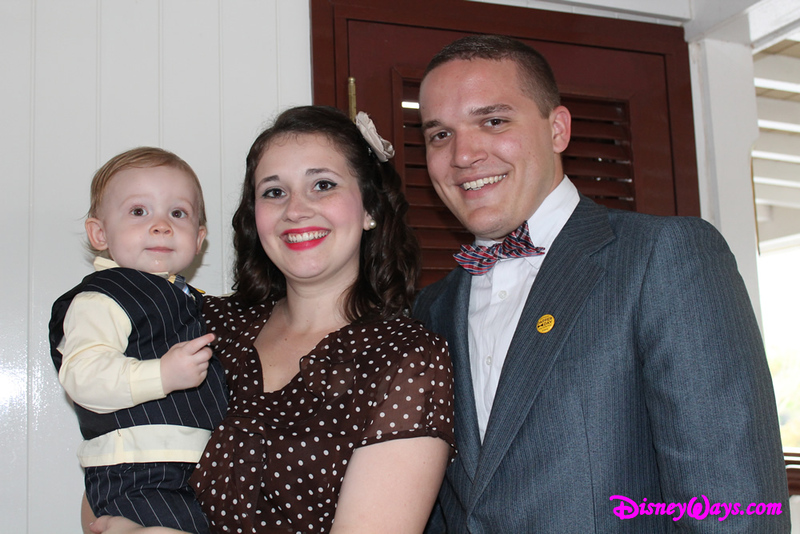 Dapper Day events celebrate the tradition of stepping out in style. All sophisticated fashions, from vintage-inspired to contemporary chic, are encouraged. Dapper Day is NOT a Disney sponsored event. It is completely optional and perfectly OK to stay casual or not even participate at all. Event hours and schedules are merely suggestions and organizers encourage you and your party to enjoy the park at your leisure. The following information is subject to be updated or change, so be sure to subscribe to Disneyways and check the Dapper Day website for the latest info. Spend the afternoon at DISNEY’S HOLLYWOOD STUDIOS! At 5:00 in the evening, you can meet up with friends at the famous Chinese Theater for a nostalgic journey aboard THE GREAT MOVIE RIDE. After Hollywood Studios closes, (currently scheduled closure is 8PM) hop on a bus, boat, or walk to Disney’s Boardwalk Inn and enjoy elegant clubs, bars, and arcades with the rest of the dapper crowd until 1am. Discounted Park Tickets are also available! After 2:00 pm discount tickets are $74 with tax, and after 4:00 pm they are just $59 with tax. There are also discounted multi-day, park hopper and annual passes (for Florida residents) AVAILABLE HERE. These are regular park tickets sold by Walt Disney World’s Group Ticket Sales just for Dapper Day purposes. They can only be purchased online in advance. (A great deal since a full price 1-day ticket is normally $95 with tax.) The ticket store closes at 9pm on September 20, 2013. DAPPER DAY Events are NOT private or separate ticketed functions. They are intended to be a regular day to visit the parks with other stylish guests. If you have regular admission to the parks, you are all set. Dapper Day organizers have items for the Fall Soiree that will be available in an online store starting Friday September 6th, 2013 at Shop.DapperDay.com. They are already planning Spring of 2014 Events at Disney Parks in Florida and California (dates to be announced). 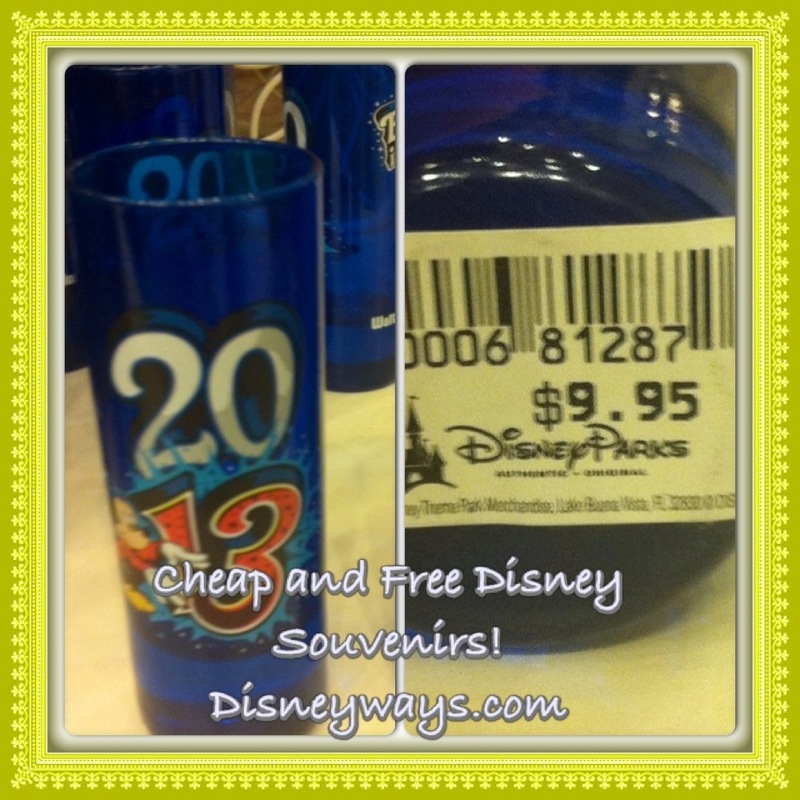 17 Free and Cheap Souvenirs at Disney! It took some searching…but we found 17 free and cheap souvenirs that you can get on property at Disney! Prices and availability are subject to change. FREE: Downtown Disney LEGO store offers mini models for free once a month! Check HERE for monthly dates. FREE: Resort soap and shampoo included in the price of your room, so it’s like a gift with purchase! The scents will reminded of the resorts long after you get home. FREE and CHEAP: Pens, pencils and small notepads are sometimes left in the resort room for you as a guest. You can also buy certain pencils in the parks for just $1.00 each! FREE: Celebration Pins – just ask for them at Guest Services. Some people get crafty and even make them into magnets after the return home. CHEAP: Antenna Toppers are 2 for $8. Bonus: they help you find your car in the parking lot. Even if you don’t have an antenna or a car these can be fun! CHEAP: Disney collector packs are 3 for $15. CHEAP: Magnets for your fridge or your metal desk at work – some are available for just $4.95. CHEAP: Shot glasses. You can get one from each country in Epcot and start a collection. CHEAP: Inside the Land Pavilion at Epcot, they sell little plants that are actually generated in the Living with the Land laboratories. CHEAP: Disney character dangles – another great way to bring something inexpensive home for the entire family! CHEAP: Pressed quarters pressed pennies!! We have so much great info on those – they get their own post – coming soon! What are some cheap and free souvenirs that you have found at Disney? Leave me a note in the comments below! Disney Parks Podcast Meetups During the All-Night Party May 24th! Are you coming to the all-night party on Friday May 24th?If you missed the announcement, Magic Kingdom Park in Florida will be staying open from 6AM May 24th – to 6AM on May 25th , 2013, local time. I would LOVE to meet you during this Monstrous event! Won’t you stop by and say hello? If you get a minute, please RSVP here, so we will know to look for you! While you’re on the event page – please drop us a line. We look forward to hearing from you! Your Questions Answered! Super Cool RFID Card Secret that You Will Only Find HERE! March 21st 2013, I posted on facebook that I was headed to get my new touch and go plastic version of the Disney annual pass, and turn in my old paper one. I asked you to send me your questions about this whole process – and we got some great ones! Some came by email, some by PM, and some were posted in various groups. I have much more I will post on the process and FUN I had getting this new touch-and-go pass, but I wanted to get to your awesome questions first. Before we get started – I need to make a couple of shout-outs! I asked my Twitter and Facebook friends to guess which character I picked for my new pass. The correct answer was Minnie! Robert Bearden of the fabulous MickeyUpdates.com was the first to answer correctly on Facebook! Honorable mention goes to Anne @_annaporter and Michelle @cmch22 for being my only 2 guessers on Twitter. Thank you so much to everyone who played along! To my friends over at the Disney Dreamers group – you have a special place in my heart. I love you guys! Samantha, I know you are so proud. Thank you – and all the Dreamers – for your constant support. Finally, another big thank you to each and every person who sent in questions, especially my wonderful Disneyways subscribers! You guys are the heart and soul of this whole thing. Thank you for taking this journey with me! Enough mushy stuff…on with the questions! Chantal G. – “Silly question are they plastic cards??? I am not all that fond of the paper ones.” Chantal…no Disney question is ever silly to me! Things change at lightning speed sometimes and a there is a seemingly never ending amount of new Disney information. Yes, these cards are plastic, and similar in size, width and flexibility as a driver’s license. I love it – I hope you do too. They were right! I think I embarrassed my husband a little bit with how completely excited I was about this!!! I can’t promise it will work for everybody – but Disneyways readers will be informed enough to know they can try! I hope everyone will give it a shot- and let me know how it works for you!! Linda R. – “I was wondering .. Do Season Passholders get the new card too or just annual passholders?” Linda this is for all passholders. Annual, seasonal, weekday and even Epcot after 4 passes will have the option to upgrade to plastic. Getting through the parking plaza will be a breeze. The cast members won’t have to squint like they do at the little black print on the old paper passes. Paul D. – “Are we allowed to request a character?” Paul this was a hot topic today! I am happy to report the answer is YES. Alexis M. – “No more Pluto cards?” Alexis, Pluto is not an option at this time. Keep in mind however, you do not have to switch to the new plastic card. Also – please check out our post from January by clicking here. This post shows official pictures from Disney depicting the wonderful customization options we will get to choose once the MagicBands are released. The cast member last night was so cute, he said “They are going to be as customizable as CROCS!” Referencing the shoes people wear that you can decorate. Samantha J. – “What if someone has sensitive skin and couldn’t wear the MagicBands, would be another option ?” Samantha, the cast members told me last night that Disney invested thousands of dollars doing research to create a MagicBand that will not irritate even the most sensitive skin. It is also breathable so our arms won’t sweat. We can adjust the MagicBand to fit even a child – so they are one size fits (almost) all. Again, MagicBands are optional. You don’t have to switch over to one if you don’t want to. Shannon K.W. – “Okay…so just so I have this straight (because my family thinks I have all the answers and I would like to continue to keep them fooled…hahaha!) Do we also have the option of bracelets…or is it just annual pass cards?” Shannon I love your question! Right now, our only option is upgrading to the plastic card if we choose. Disney will be rolling out the MagicBands as soon as that technology is ready. No word yet on an exact date. Make sure you are subscribed to Disneyways so you will know the minute we find out! Mark G. – “Still confused on if we will get replacements in the mail or will we have to go to guest relations when we go in June.” Mark, the cast members I spoke to last night were pretty confident that we will be able to get our new tickets or possibly Magicbands – if that technology is ready- as early as May 20th via the web, and then of course, if you order them on-line, they would arrive by mail. 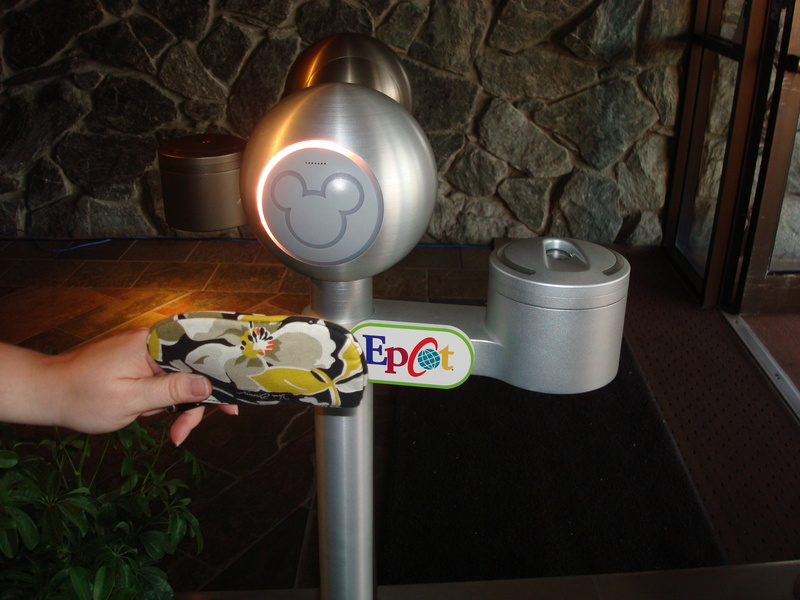 If you don’t have yours in time then you will head to guest relations when you get here. There are two more things they wanted me to be sure to tell you. One, if you haven’t already, you will want to be sure to register for an account here. Two, make sure you remember what email address you use to register this account. This is very important because all your MagicBand communication will go to that email address. Check your spam folder periodically if stuff tends to get sent there by accident sometimes. Whew! I think that about does it. Again, if I missed your question, please let me know right away – the quickest being by facebook. I accept all friend requests. You can also email me any time Disneyways@Disneyways.com There will be many more blog posts on this subject to come! UPDATE DECEMBER 21ST 2015…THIS YEAR FOR MY BIRTHDAY I WAS SENT A COUPON FOR A FREE BROWNIE – WITH PURCHASE! BOO EARL OF SANDWICH!!! BRING BACK THE FREE SANDWICH PROMOS!!! Who says there is no such thing as a free lunch? ME. I am one of those people who looks for the fine print and thinks there always has to be a catch. There are some great posts and articles all over the internet about cheap eats at Walt Disney World – but how often do you hear about anything being completely free? Today I found a World Secret that I thought was pretty special – an offer for a FREE sandwich. The catch – it’s only good during the month of your birthday. You may have heard the sound of rejoicing when Disney food lovers every where got the news that the Earl in Downtown Disney began offering the Holiday Turkey Sandwich year round. Some have said it really is the “world’s greatest” or more specifically as holiday heaven on a bun. To us rookies who haven’t yet tried it, it is basically turkey, stuffing, cranberry, and a little mayo served toasted on a freshly baked roll. Sounds AWESOME to me, but maybe it doesn’t sound like your favorite? No problem, Earl of Sandwich in Downtown Disney’s Marketplace offers a variety of hot and cold sandwiches, salads, ice cream, smoothies, lemonade, boxed lunches, and prepared “Grab & Go” items. Breakfast offerings include several cold items as well as hot breakfast sandwiches. Already a pretty great value, most sandwiches here are right around $6.99. But enough of that – let’s get on with the FREE part! All you need to do to get your FREE sandwich from Earl is sign up for The eClub. Once you do that, you get a printable voucher a few weeks before your birthday. You have your entire birthday month to print and use it. Just like all of their sandwiches, your birthday sandwich will come wrapped in gold foil – like some sort of wonderful smelling currency. Click HERE to sign up for your free birthday sandwich! Oh, and if you can’t come to Downtown Disney during your birthday month – Earl has places all over the country where you can get your free birthday sandwich. Hopefully there is one near you. My friend Heidi is celebrating her birthday today and she just so happened to post about Earl too! You can read her blog here! Hers has lots of yummy food descriptions and photos. Mmmmm….I am hungry. So what are your thoughts? Have you gotten a free sandwich from Earl or was this the first time you heard about this particular World Secret? First – the food part of today’s World Secret. Raglan Road is THE place to go for Irish food and entertainment in the Downtown Disney area. The menu comes complete with Bangers and Mash (that’s a fancy Irish name for sausage and mashed potatoes) – but did you know you will also find some of the absolute BEST burgers on property here? It’s true. You can enjoy all that Raglan Road offers from a comfy table – or if you prefer – belly up to their 130 year old bar. It’s imported all the way from Ireland! Cooke’s of Dublin is a quick service restaurant located right next to Raglan Road, and it offers a selection of the exact same food that Raglan Road serves – at a much lower price! The secret (inside the secret) of Cooke’s – is the “Doh-Bars” which are donut battered Snickers and Mars bars. It’s enough to make me want to move to Ireland. But, don’t worry, one can cancel out the calories from your Doh-Bar with a healthy salad, because Cooke’s has those too. Before you enter Raglan Road, look for a replica bronze statue of the famous Irish poet, Patrick Kavanagh, sitting on his bronze park bench. Regarded as one of the foremost poets of the 20th century, Patrick Kavanagh’s best known works include the novel Tarry Flynn and of course the poem Raglan Road. Folks in Dublin often saw Patrick relaxing alone on a park bench by the Grand canal. When he passed away in 1967 after a long struggle with lung cancer, he was commemorated with the original statue in Ireland. To this day, after every St. Patrick’s Day parade you’ll find his friends gathering at that bench. Raglan Road pub’s replica of this statue is the only one you will find outside of Ireland. This version has a shorter bench, so there is no room to sit next to poor old Patrick, and perhaps he would prefer it that way. I think it is rather fitting, and symbolic of his original poem. I have added a copy here so you can decide for yourself. Read carefully and you will see that he explains how, despite his best judgement, he fell for a girl that he knew would break his heart.